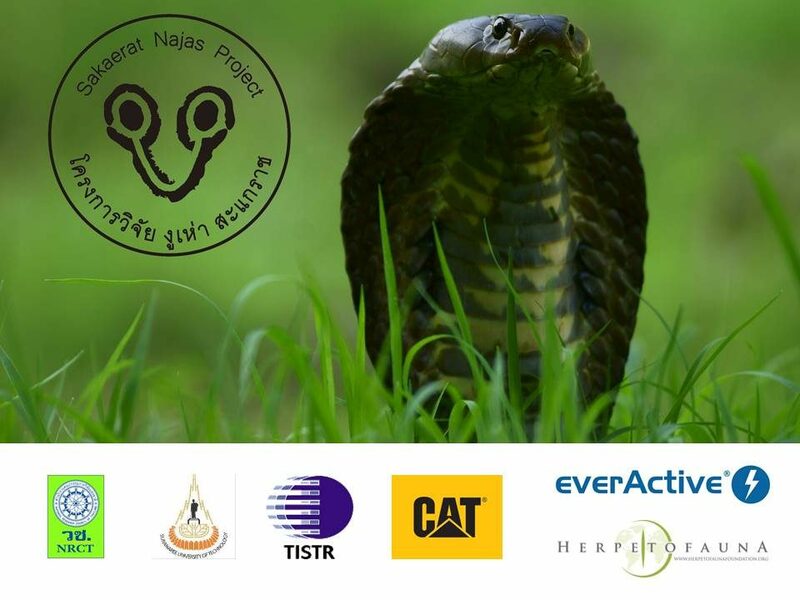 It was a pretty standard Monday with everyone on the snake team going about their business, but that was to change with a single phone call and with it the 28th of September would see the introduction of a new snake to the Naja project. The message came through that a snake, possibly a cobra, was in a house in one of the local villages. Colin, Curt, Matt and Wyatt leapt in to action, jumping into the truck and racing off to find the house in question. On their arrival the snake was cornered with the gentleman of the house poking the now seriously annoyed snake with a large stick. Colin together with the local Rescue team made their way past the guy and despite the confines of the house, using all their skill and knowhow gained control of the snake. Within moments the snake was bagged and boxed ready for transportation back to the station. The snake was a Naja siamensis or Indochinese Spitting Cobra, perfect for the project. The next day it was hoped that the new snake might have calmed down but that wasn’t to be and a few of us were given an up close and personal demonstration of their renowned spitting ability getting caught with a carefully aimed dose of venom, thankfully out protective clothing did its job. A quick afternoon procedure and Nasi009 was officially on the team. A few hours of rest and recuperation, and by the early evening Nasi009 was ready for release. A small team of us set out on bikes to a plantation by the village where the snake had been captured, as the Sakaerat snake team does not agree with the translocation of snakes to entirely new areas. The spot was chosen and cameras were at the ready but yet again Nasi009 was in no mood to play ball. The first chance he had the snake was out of the box and heading for the dense vegetation, barely giving anyone a chance to press a button and take a photo. Thankfully however Ben was in no mood to miss his opportunity, as you can see at the top, with the reflexes of a quick draw gunslinger he was able to focus and shoot his prey as it sped off into the bush. So that was that, the project had its second Naja siamensis and a third snake to track.